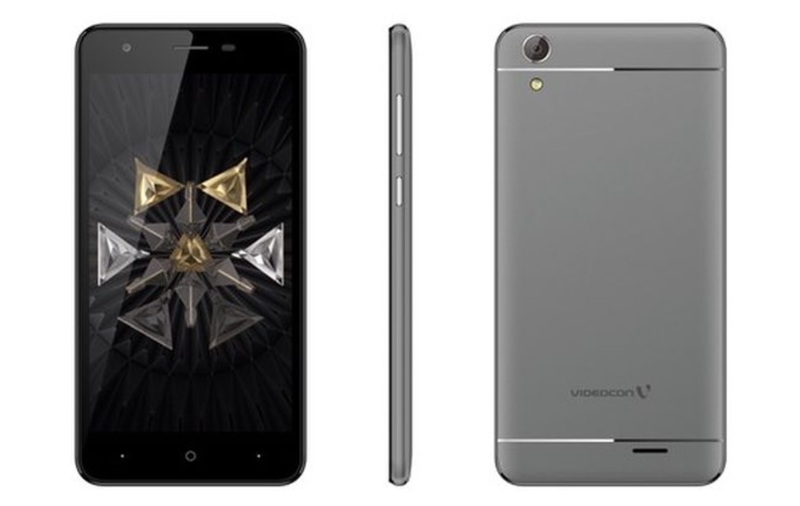 Videocon on Monday launched new Metal Pro 2 with 4G VoLTE smartphone in India. The smartphone will go on sale across retail stores in the country by the end of the month. As its biggest highlight, the smartphone sports a 13-megapixel rear camera. The smartphone will be available at a price tag of Rs. 6,999, and a 100-day replacement policy. It will be available in Grey and Gold colour variants. The dual-SIM (Micro+Nano) Videocon Metal Pro 2 runs Android 7.0 Nougat, and sports a 5-inch HD (720×1280 pixels) display. It is powered by 1.25GHz quad-core MediaTek MT6737 SoC coupled with 2GB of RAM. Optics on the smartphone include a 13-megapixel rear camera with LED flash and a 3.2-megapixel front camera. The Videocon Metal Pro 2 comes with 16GB of inbuilt storage that’s expandable via microSD card (up to 128GB) in a hybrid dual-SIM configuration. Connectivity options include 4G VoLTE, Wi-Fi 802.11 b/g/n, GPS/ A-GPS, Bluetooth v4.0, FM radio, and Micro-USB port.